It is September time and we are back with our improved schedule of aerial classes in Bristol- just click on my Teaching page to check the whole timetable! 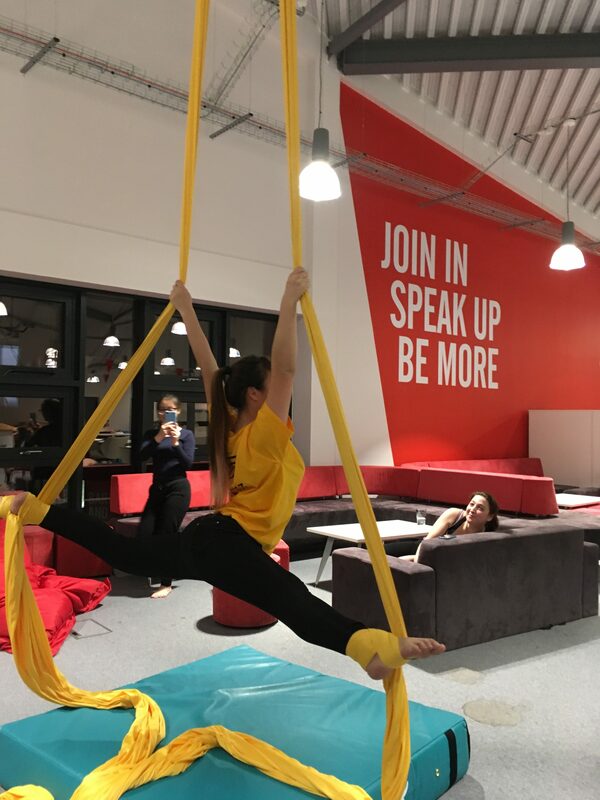 Our classes at UWE are restarting again very soon – so if you are a UWE student come and join us for some aerial hoop and silks fun every Thursday 6:30pm or 8pm upstairs at Frenchay campus’ Students Union! And don’t forget our range of aerial hoop classes at Spincity Bristol every Monday evening and Sunday morning! Book with your Move GB membership or via the Spincity booking system HERE ! This entry was posted in Uncategorized and tagged aerial classes, aerial hoop, aerial hoop classes, aerial silks, rope, trapeze. Bookmark the permalink.